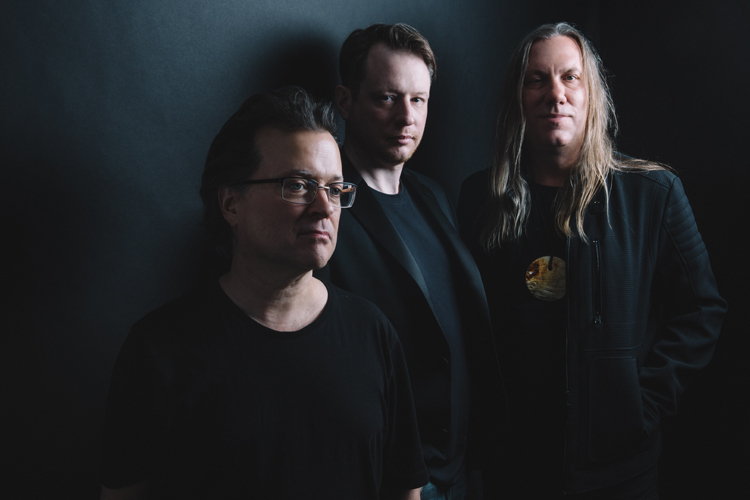 The Violent Femmes story is a story about a phenomenon which occurs every once in a while in the so-called music scene. The Beatles, the Stones, the Byrds, the Velvets, the Stranglers,.. the Femmes. Who knows why these things happen? One could consider them as a movement against all these beautiful things you can see every day (including their consequences): boredom of life, religious paradox, the absence of basic moral principles, wicked social influences on adolescent kids (teen psychosis), mechanical human actions and reactions (lacking spontaneity), twisted relationships, misleading – false appearances and statements, false flirt, etc. – you name it. It’s a rage, a protest fueled by anger and angst, provocative and critical, stressed and frustrated – supported by music which ranges from country to psychedelic, so ordinary and yet so open to improvisation. 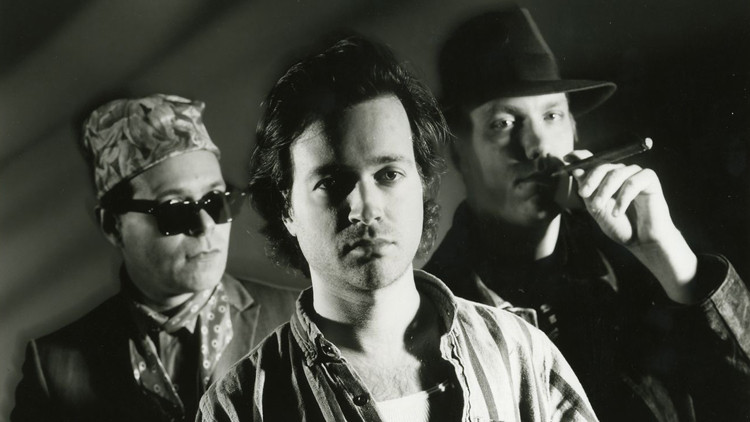 The name of the band “Violent Femmes”, an innuendo on “femmes” (slang for: “wimps”), speaks for itself. Looks like it’s quite original to be a wimp after all, but hold on, it gets even better.. The Femmes originate from Milwaukee, Wisconsin, where they used to play in the streets in the early ’80. 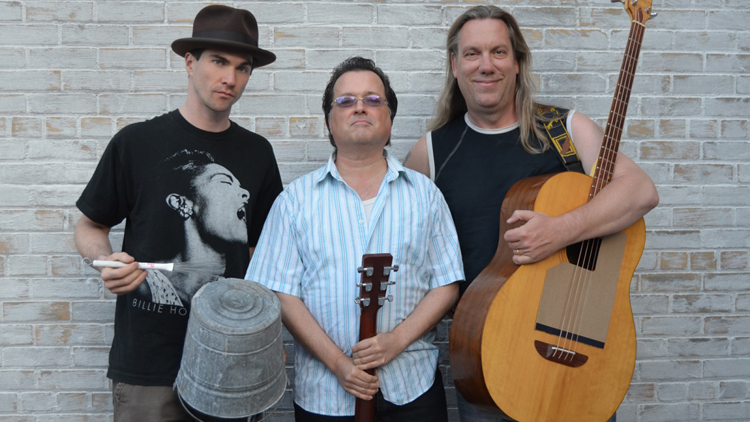 The band was made up of three members: Gordon Gano (vocals & guitar), Brian Ritchie (vocals & bass) and Victor DeLorenzo (vocals & percussion). It was on these streets where they were discovered by James Honeyman Scott (the Pretenders) who heard them playing in front of the Theatre were the Pretenders were holding a concert. After that discovery the Femmes quickly rose to a cult band. I don’t have the precise information when they released their first (self-titled) album. It was probably during 1982 or 1983. 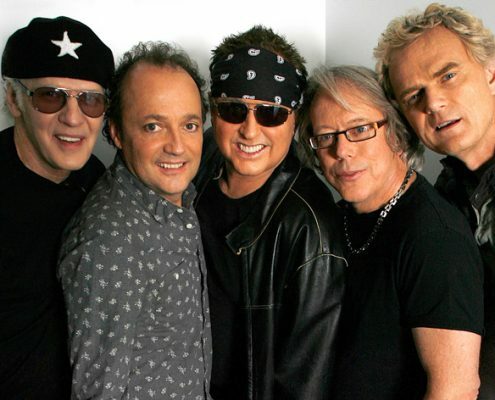 The group actually recorded the album “in secret” in the period between 1980-1982. 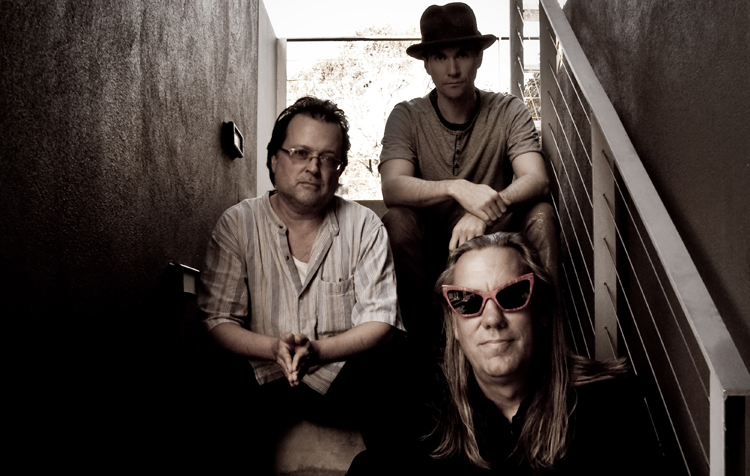 Anyhow, the LP “Violent Femmes” became a true classic. Many fans regard it as their best album, featuring songs that became anthems: “Blister in the Sun”, “Kiss Off” and “Add it up”. The cover pictures a little girl (the daughter of Lowell George, the rhythm guitarist of Frank Zapps’s Mothers), all dressed in white, peaking through an open window of a decayed wooden door. With this symbolic scene, the Femmes started their tradition of saying things in their own ambiguous, sarcastic and very defiant way. Open minded and ready to talk about every subject, the Femmes didn’t let religious disputes hinder their careers. Unfortunately, not everyone was unprejudiced like them for Gordon was kicked out of the National Honor Society for performing “Gimme the Car” at his graduation ceremony. 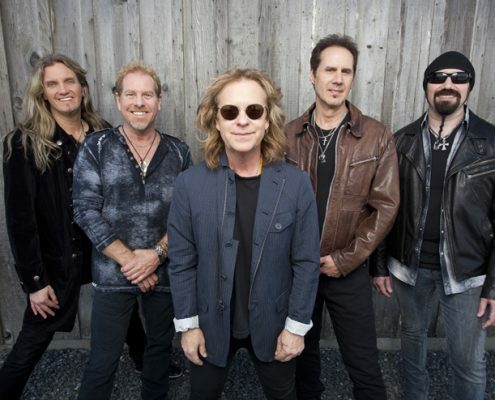 Brian Ritchie, the bass player and vocalist was born in 1960. His solo projects “No Resistin’ a Christian” and “Religion Ruined My Life” prove the fact that he is an atheist, refusing to believe the conservative idea about the existence of a supreme, almighty being. Victor DeLorenzo was born on October 24th, 1954. Before the Femmes, Victor played with Ritchie in a band called “Hitler’s Missing Testis”. He usually played on a small drum kit using brushes instead of drumsticks. You could guess that with such a rudimentary equipment, the Femmes couldn’t match the volume level of other similar bands, but .. Although their debut album was a multi-platinum success, The Rolling Stone Magazine didn’t put it in its list of the 100 most important records of the 80′s. Why? They probably didn’t know under which category to put them. Nevertheless, songs like: “Add it up”, “Prove My Love”, “Gone Daddy Gone” and lyrics like: “People worry, what are they worrying about today?” will never be forgotten. In 1984, the Femmes released their second album entitled “Hallowed Ground”. As it was announced in the title, this album contained a few songs which showed Gano’s Christian religious convictions, “Jesus Walking on the Water” & “It’s Gonna Rain”. Ritchie agreed to put these on the record, despite of his disagreement with the general idea. “The Blind Leading the Naked” was the name of the Femmes’ 3rd album. It contained some serious anti-government lyrics, e.g. “Old Mother Reagan”. With “Faith”, a ‘blues-gospel-song’, Gano carried on with the religion-issue, but this time Ritchie presented his opinions in “Love & Me Make Three”, a song written by him and DeLorenzo. Also interesting was the cover version of T-Rex’s “Children of the Revolution” . 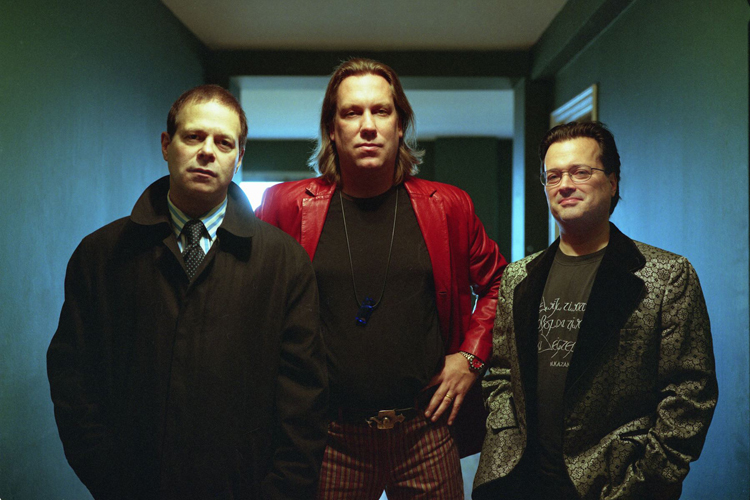 All in all, “The Blind Leading the Naked” was a great Violent Femmes’ LP! After the 3rd album, the band split up for a short while, returning with “3″, the 4th (!) studio album. The song “Nightmares” became a huge radio success. The sound remained jazzy raw with heavy country focal points. The band still used a large set of additional instruments such as horns, banjo, xylophone, etc. Gano’s lyrics remained powerful and tortured, propagating seeing the truth in the eyes, instead of holding to some misleading idealism. “Fat”, “Fool in the Full Moon”, “Nothing Worth Living for”, “See My Ships” – just to mention a few of the songs sung by an emotionally troubled first-person narrator. It was about that time when the Femmes tried to add a fourth member – the percussionist Michael Blair. However, the results were not satisfactory, so the band decided to remain a trio. 1991. 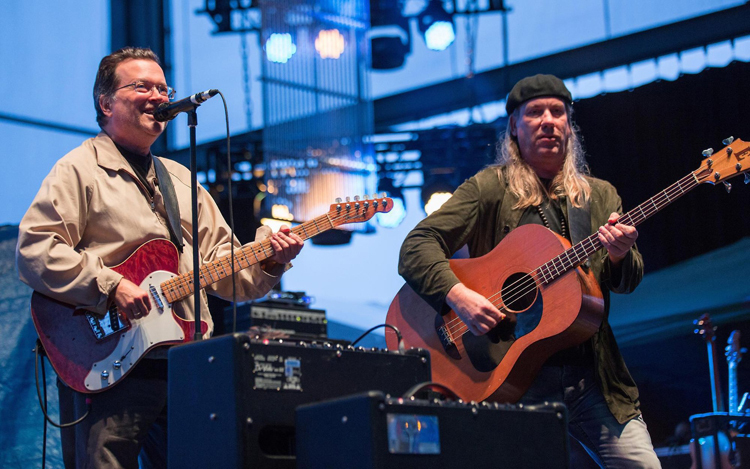 After a 3 years long break, the Violent Femmes came back with a true masterpiece – “Why do Birds Sing?” With an ambiguous title like that and the sarcastic “guess who it is? !” sleeve, this album brings some finest Femmes ideas so far. It is surely the unique spirit of the songs that makes this band so special. The opening song, “American Music” is a good example for that. Probably the biggest surprise was the cover version of “Do You Really Want to Hurt Me” originally recorded by Culture Club. Another interesting project was “Hey Nonny Nonny” originally a 16th century English poem. 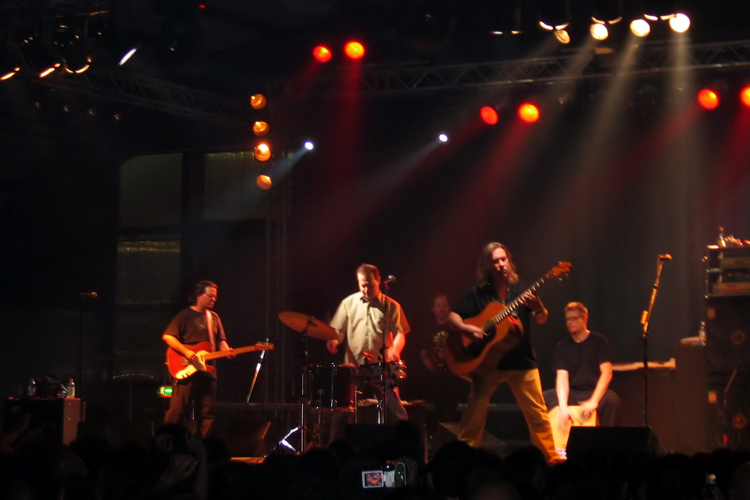 Gano kept his freedom of changing some parts of the lyrics, and the whole thing was finished with the chords of Rolling Stones’ “Sympathy for the Devil”. Singing about the all-time actual problem of people refusing to accept their lover/friends the way they are (“Look Like That”), about poor education (“Lack of Knowledge”), or about the anguish and distress felt by a abandoned guy realizing that no one doesn’t even try to understand him (“He Likes me”) – Gano pulls out a great number of aspects of modern life.. Unfortunately, there have always been and there will always be people who won’t try to understand. Regretfully, some of these people write articles for the “New York Times” and “Washington Post”. 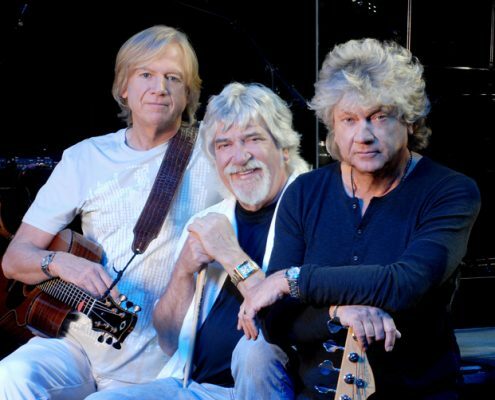 Yes, the “Birds” album invited some controversial criticism. I guess there will always be nerds failing to see motives other than adolescent sexual frustration. But, hey! One complains about the thing that bothers him/her the most. Expressing feelings most of us would like to pretend we don’t have, Gano’s music carries the message of self-exploration, honesty and the importance of emotion. In 1993 the Femmes released “Add It Up (1981-1993)”, a compilation featuring some unreleased and live tracks: “36-24-36″, “America is”, “Degradation”, “Gordon’s Message”, etc. “Add it up” can indeed be considered as the end of the first part of the Femmes story, for after it’s release Victor DeLorenzo – one of the best percussionists in the rock scene – left the band. 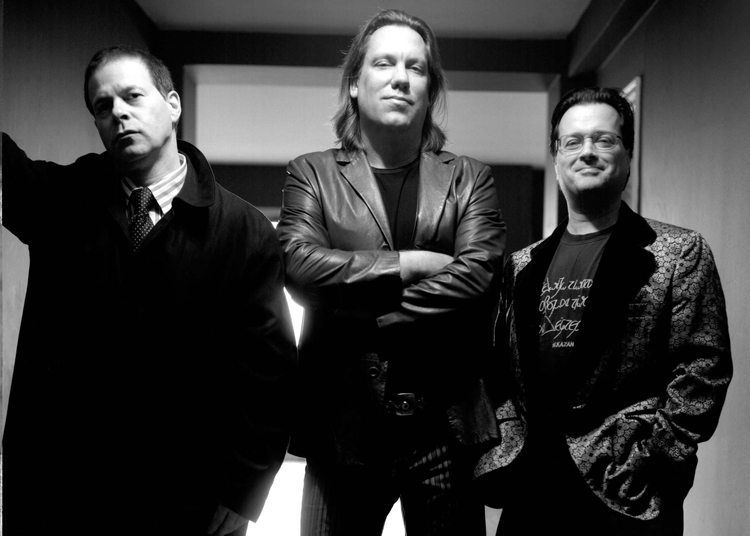 The former BoDeans drummer, Guy Hoffman, became the new Femmes percussionist. This came pretty natural, since the band knew him for a long time. 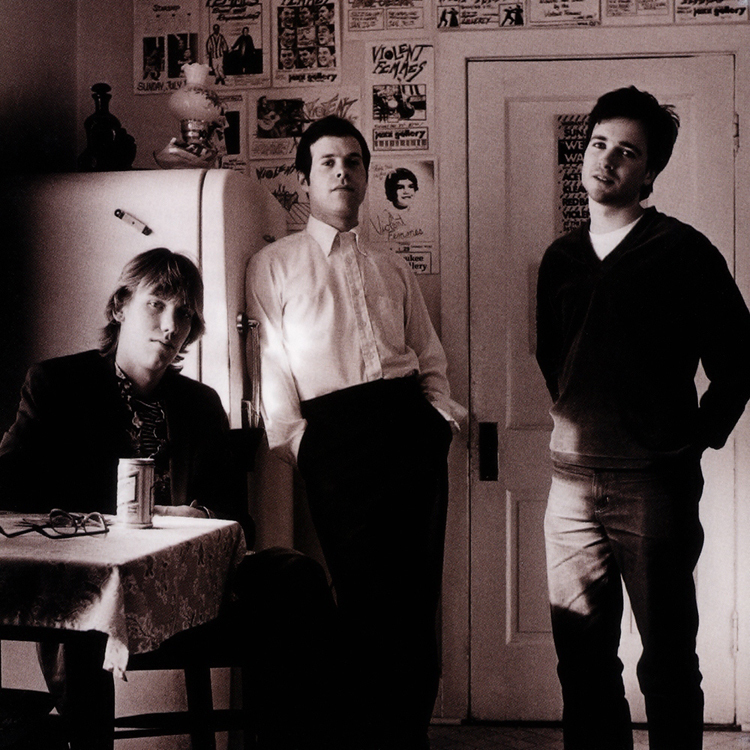 With Hoffman the Violent Femmes released in 1994 their 6th studio album – “New Times”. 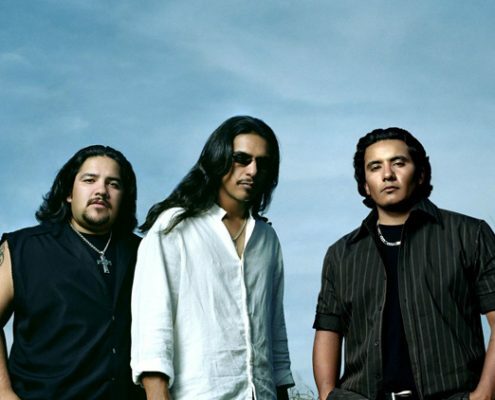 After more than 10 years, the band showed that they still have much to offer. The album starts with the powerful “Don’t Start Me on the Liquor”,; “Machine” a strange psychedelic tune brought the Femmes one step further in experimenting with instruments and sounds. “Jesus of Rio” – a song with a carousel rhythm and lyrics reaching into the problems of the underdeveloped world finishes this brilliant come-back release. Not so brilliant turned out to be the relationship with Slash Records, however. Two songs, “New Times” and “Agamemnon” featured lyrics from “Einfach Klassisch” by Walter Mehring, translated into English. Indeed, Gano has an affection for German writing – one of his great passions is the literal work of Thomas Mann. What follows are excerpts from the article “Balls and Chains” written in 1993 by Gano himself. “Men are jerks. I’m using that word in the all-embracing sense: I’m a man; I’m a jerk. O.K., one can argue effectively that women are also jerks – but there’s no argument against the fact that men are even bigger jerks. For much of my life, I, too, resisted making choices because of not wanting to eliminate possibilities. But I’ve found, often painfully, that choices have to be made and that not choosing is also a choice (often the worst kind). It’s in choosing that we choose ourselves, make ourselves. In throwing one’s whole self into a choice, into the suffering and the joy of it, I become more of myself (here, a nod to Sartre but no quote; only one existentialist quote per article – an old Latin rule). In other words, one gets married in order to struggle – and not so much with one’s partner as with oneself. And just as narrowing the playing field affirms life, likewise does embracing responsibility. Break the word “responsibility” down into its parts and you get “able to respond.” Medically speaking, the inability to respond is death. Thus, running from responsibility is running from Life and toward Death. So, once again couching the potato in question in terms of my opinion and mine only, I will state that it’s best to marry when one is depressed. How will one know what one wants – if one wants to marry, if one is ready to commit – if one is buoyed up by a false sense of hope and happiness? To paraphrase a science journal that has since left my grasp: Depression’s great benefit is that the depressed subject tends to withdraw attention from wasted enterprises. What a great time to marry! Which leads to my next question/answer: When does one know that it’s time to marry? When one has no hope. When one has given up all hope of ever being able to be happy with someone other than that one special someone, and (now watch this closely) when one also realizes that happiness isn’t even possible with that one special man or woman. Then it’s time.